You remember what a mess I had (or at least it looked that way) the last time I wrote. Things look very different now. 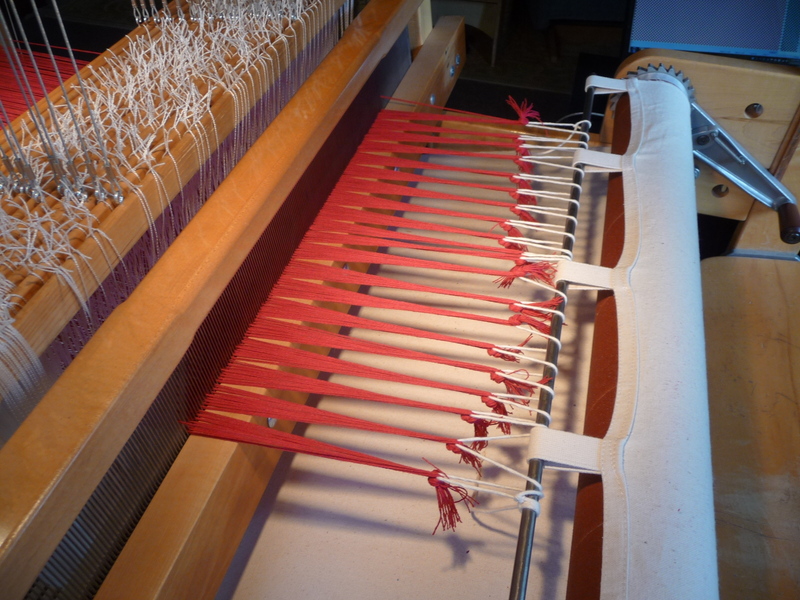 That’s 466 cotton warp threads (the lengthwise ones) heading from the back of the loom to the front, with the heddles in the background. 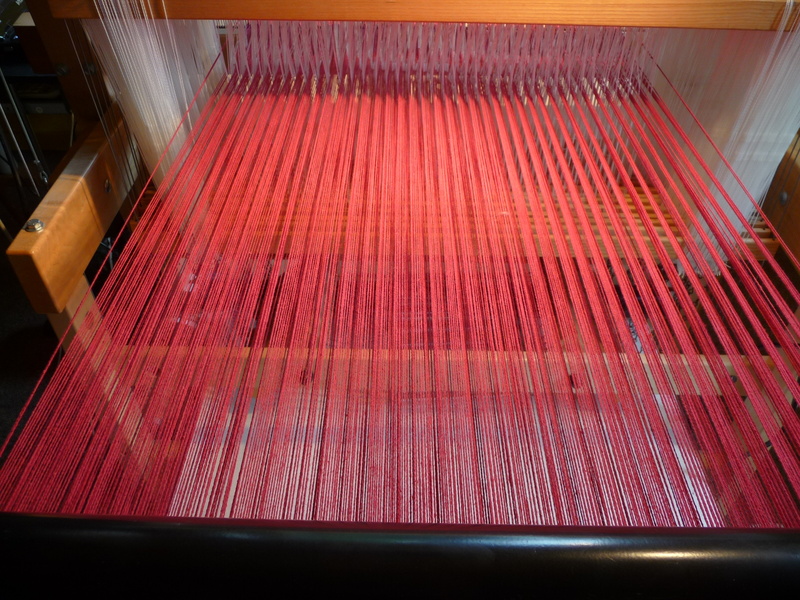 Each thread goes through one heddle, all threaded one by one. Not a speedy process. 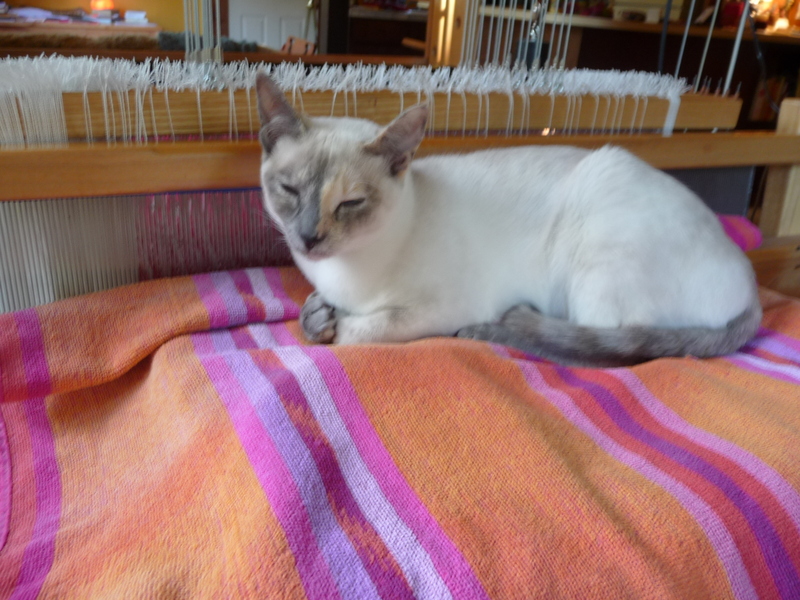 From directly in front of the loom. 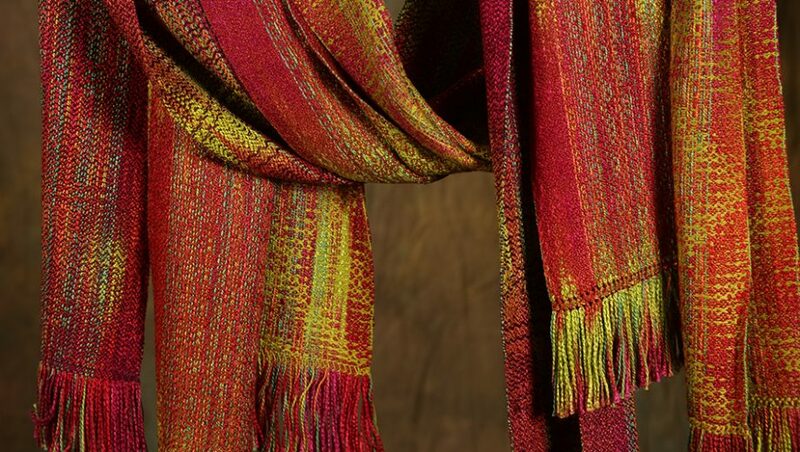 The lashing makes it easy (relatively) to adjust the warp tension across the warp so it’s evenly firm everywhere — an essential foundation for smooth professional weaving. Kalima, in one of her favorite daytime nests. 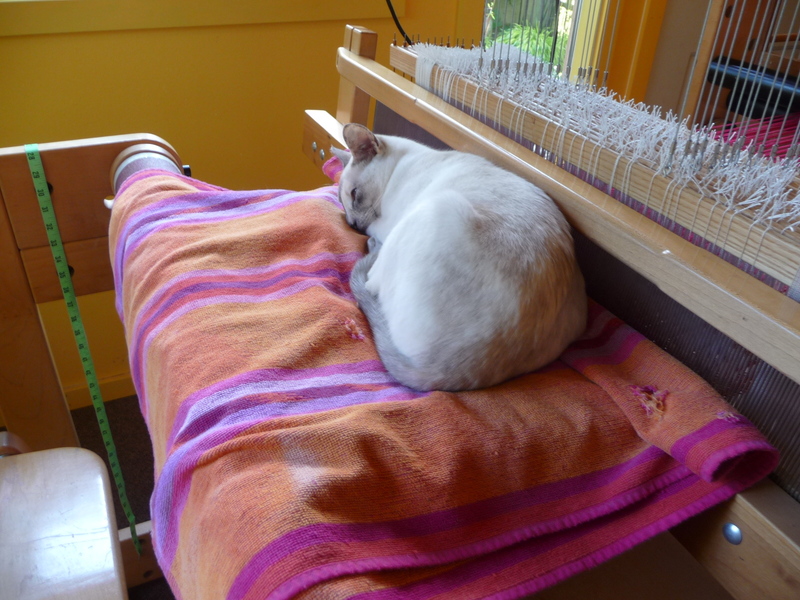 You can see why I keep the old beach towel cover on top of the weaving. Wishing I would stop with that black clicking thing in her face so she can return to her peaceful comfortable slumber. 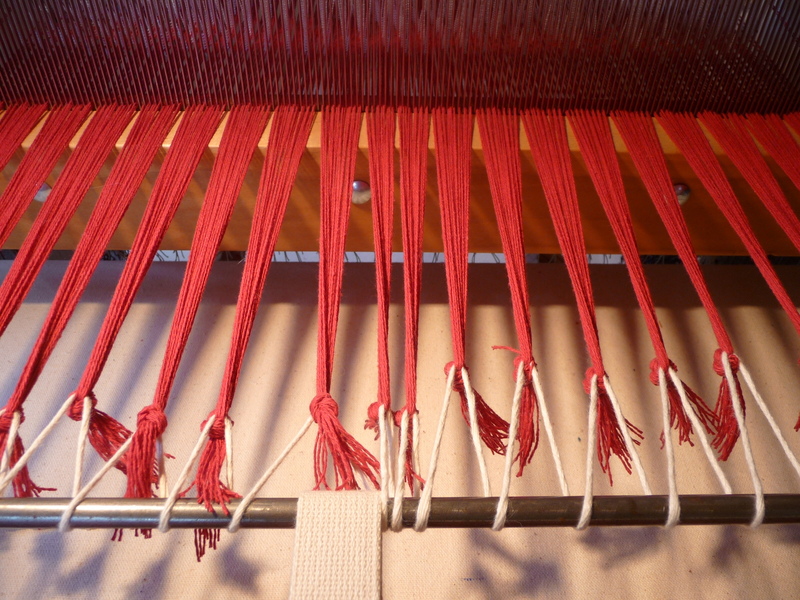 Next time ~ pictures of towels as they’re being woven. Some are already reserved. such a sweet kitty. I can’t wait to meet her one day! That’s a LOT of work! And Princess Kalima just sits there like she owns the whole thing. Yes, well, she kinda does!